For the second successive season the 'Cases' Somerset Rebels will be lining up with a world champion amidst their ranks. The 2018 world Team Long Track Champion Dimitri Berge becomes the sixth confirmed starter for the Rebels' 2019 campaign. As well as holding that world champion tag Berge, 22, was also crowned European Grass Track Champion last season. The French man joins the Rebels after a second spell with Redcar and will line-up alongside one of the riders he beat in to the gold in that Long Track success, Chris Harris. Confirming the inclusion of Berge in the side, Garry May revealed "I have been tracking Dimitri for some time now. He is a rider that has impressed me and I firmly believe that he will quickly settle in to the side, especially at the Oaktree as it is the sort of track that will bring the best out of him. I think, in truth, he may need to work on his away game but I remain certain that he has the ability to up his 5.03 average. 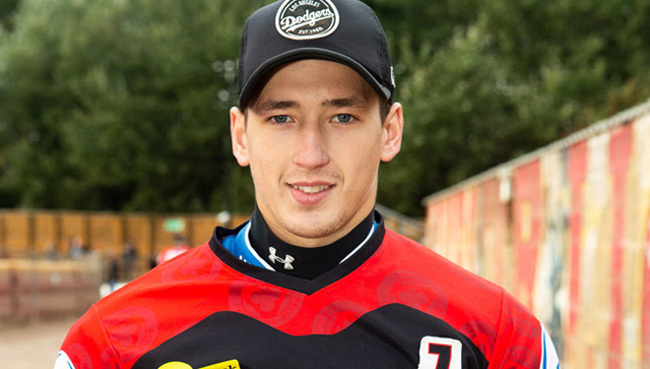 Berge made his British debut with Glasgow in 2014 and has also served Sheffield and Berwick at Championship level, whilst last season spending some time with Premiership outfit Belle Vue.